Neem Leaf is antioxidant and reputed to provide nutritive support for liver health, healthy bile flow, digestive health, maintaining blood glucose levels and supporting healthy, radiant skin from the inside out. Shake well before using. 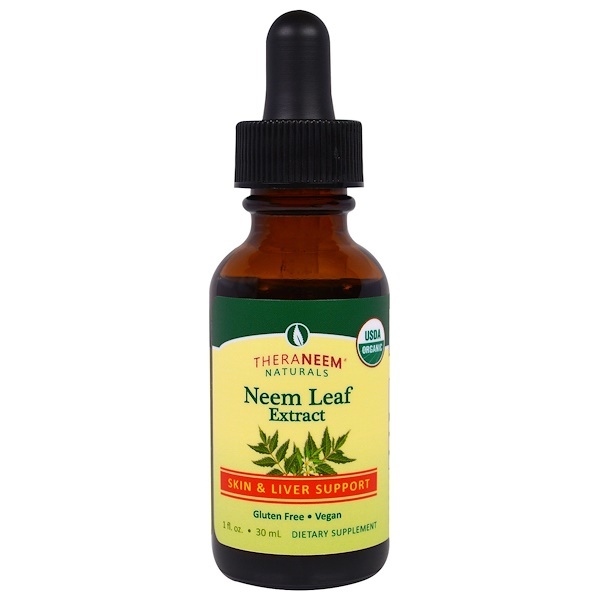 Take 1 dropper (1 ml), up to twice daily. May be taken in water, juice or sublingually. Do not use if safety seal is broken or missing. Keep out of the reach of children. 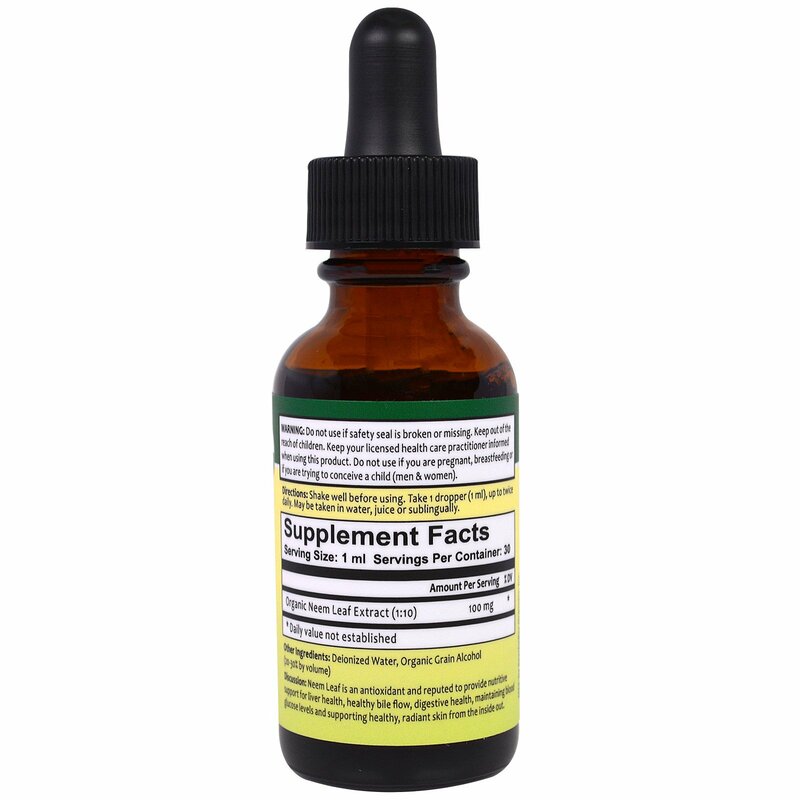 Keep your licensed health practitioner informed when using this product. Do not use if you are pregnant, breastfeeding or if you are trying to conceive a child (men & women).